In the second book in the World Whisperer series, Rachel Devenish Ford follows the tale of Isika growing into her destiny, even as forces from the Great Waste attempt to destroy her. Though Isika now lives happily with the Maweel, her problems seem to be following her. Apprenticing for the master potter and enjoying life with a real family occupy Isika’s days, until a call for help from her beloved stepmother forces her to choose between her new life and her old. As Isika rushes back to the Worker village in hope of rescuing her stepmother, she is thrust into a plot of deception and lies, maliciously pursued by evil forces. A journey deep into the desert will test all of her new found strength and gifting. Jabari and the other seekers follow Isika with hopes of helping, until the moment they find themselves attacked by the endless evil and malice that seeks to destroy the World Whisperer. Together they will have to find strength and belief in one another… if they ever want to make their way out of the desert and back to the land they love. Twenty-four-year-old Timothy is far from his home country of Canada when his new wife dies in childbirth. Stunned, he finds himself alone with his newborn son in the mountains of North India and no idea of what it means to be a father. He begins a journey through India with his baby, seeking understanding for loss and life and the way the two intertwine. 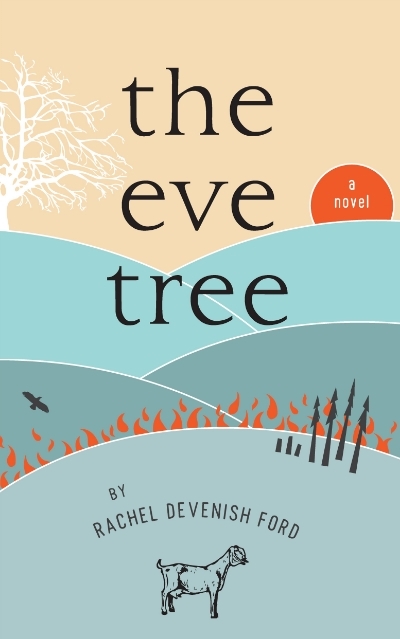 Rich with adventure and magic, Rachel Devenish Ford's debut fantasy is the tale of a girl stepping out of an oppressive life and into her true destiny. As a fifteen-year-old outsider girl in the Worker village, Isika is destined for endless drudgery, serving her priest stepfather and worshiping the four goddesses of the Worker people. She doesn't fit in and she hates the goddesses, but her mother is dead, and her three remaining siblings need her to be good and keep them safe. 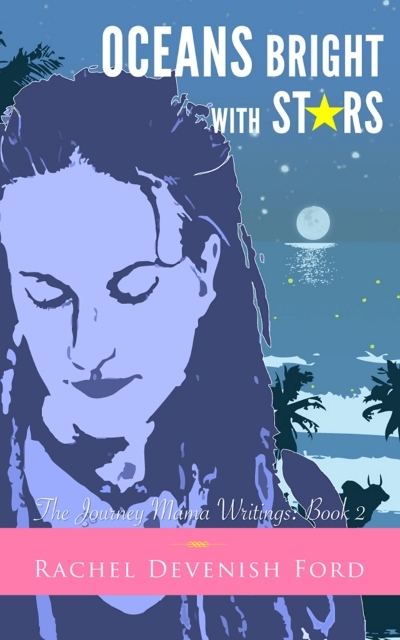 She can't think of anything beyond surviving each day and trying to avoid her stepfather's wrath. Until he decides to sacrifice her youngest brother to the goddesses. And Isika decides that enough is enough. She sets out on a journey to save her brother, facing an unknown world outside the walls of the Worker village. In the new world, ancient gifts awaken within her as she finds more beauty and more trouble than she could have imagined. To save her brother, she will have to trust the magical creatures and mysterious new friends who have come to guide her. What's more, as she learns to love her new place in the world, she will have to learn to control magic that could be the key to her destiny and the fate of everyone around her. Perfect for fans of Madeleine L'Engle, the Chronicles of Narnia, and Robin McKinley. Buy your copy to begin the adventure today! In the third book of the World Whisperer series, Isika must face her deepest fears and emerge with her true identity intact. Isika is growing into her life in the Royal city of Azariyah. Her pottery apprenticeship is going well and her friendship with Jabari is blossoming. She loves her life with her family and longs to be a normal Maweel girl, something that isn’t possible with the Desert King in pursuit of her life. Evil forces want Isika captured or dead, and the threat of the Great Waste grows stronger daily. Why is the Desert King approaching Azariyah and why is he trying to burn Maween to the ground? As fires erupt all around Azariyah, the loyalty of the Maweel toward their World Whisperer is tested. Rumors follow Isika as she fights fire and suspicion to protect the city she loves and earn the trust of her people, ultimately standing before an evil so great, it will take everything within her to withstand and defeat it. In 2005, Rachel Devenish Ford, 25-year-old pregnant mother of two, moved with her husband to the woods of Northern California and began her blog, Journey Mama. In writing about her life—all the funny things, the sad things, and the beautiful— she found a way to see it again for the first time, and a way to cultivate joy in a life that had been overwhelming to her. In the process, she encouraged and inspired people around the world. The first in a series, Trees Tall as Mountains is a collection of the best posts of the first three years of Journey Mama. In them, Rachel Devenish Ford describes life in an intentional community, her love for her Superstar Husband, her dysfunctional relationship with large grocery stores, and the antics of her young children. As Rachel works to overcome sometimes crushing anxiety, love the people around her, and grow in her faith in God, she writes about it all with tenderness and humor. Funny and profound, Trees Tall as Mountains is a life-changing book. Picking up where Trees Tall as Mountains left off, Oceans Bright With Stars is a true journal about one family’s gutsy, wild decision to move across the world and make their life in a village in India, navigating water problems and power cuts, beating back the jungle and embracing a new culture. In the first months, Rachel is blindsided with what it truly means to leave everything behind, experiencing panic and a strong sense of dislocation, but as she seeks to trust God and searches for beauty in her new home, she finds it in unexpected places. From the ocean to the mountains, Rachel records her family’s encounters with insects and snakes, holy cows and yaks as they grow and flourish in an unlikely environment. The Journey Mama Writings series is about overcoming difficult circumstances to reap the joy of belonging. This collection of posts from Rachel’s blog is a hilarious and evocative account of learning to love a new country, and with it, a new way of life. Third in this series, A Home as Wide as the Earth continues the themes of belonging, wandering, and faith present in Rachel Devenish Ford’s blog, Journey Mama. In A Home as Wide as the Earth, Rachel travels on trains, buses, and rickshaws with her husband and children, journeying from the U.S. to India, Nepal, and Thailand, encountering God in the midst of both community and loneliness. Rachel’s writing is warm and honest, sparkling and clear. She beautifully captures the small ordinary things that make up our days and lives. Candid and funny, spiritual and wise, this third collection of posts from the Journey Mama blog will comfort and inspire. Molly Boscelli, a goat farmer in the hills of Humboldt County, California, is fighting a forest fire with sheer force of will. She and her husband, Jack, inherited the ranch from Molly's mother Catherine, ten years ago. For Molly the time has been a long slope of resentment, but the approaching fire is taking everything she knows and dumping it on its head. Molly's mother and grown children come to help with the evacuation efforts, and as Molly begins to unravel, Catherine and Jack are forced into their own contemplation of what the fire means. The family sifts through its history as the fire draws nearer, bringing Molly to a frenzied state, ready to take action in defending her ranch. This is a book about breaking and healing, about land and protection, about marriage and family, grief and hope.